The Clubhouse is a first class destination resort. 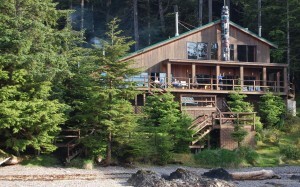 We can assure you, there’s no other property like it in Haida Gwaii – or possibly anywhere on earth. Nothing has been spared in the quest to make your trip truly exceptional. Seek asylum amid the ancient beauty of Haida Gwaii. Enjoy spacious and sumptuous accommodations. Receive the personable service you’d expect from any top-tier hotel. And revel in a professional guided ocean fishing adventure that goes far beyond your expectations. Pristine nature pairs well with a nice glass of wine. Our internationally trained chefs take food seriously at The Clubhouse. 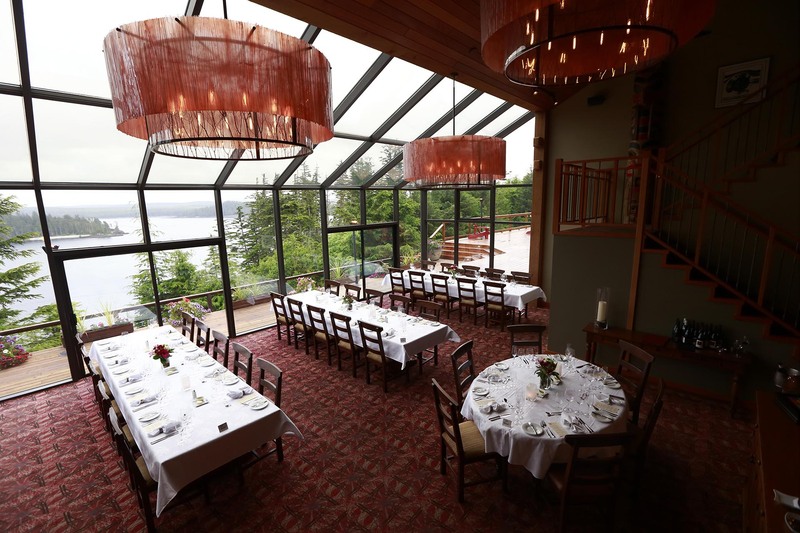 So every time you sit down in our solarium dining room overlooking beautiful Parry Pass, be prepared for something wonderful to be set before you. Sometimes the plating is such a lovely work of art, you may feel a bit bad for disturbing it. But with one heavenly bite, you won’t even recall your previous hesitation. 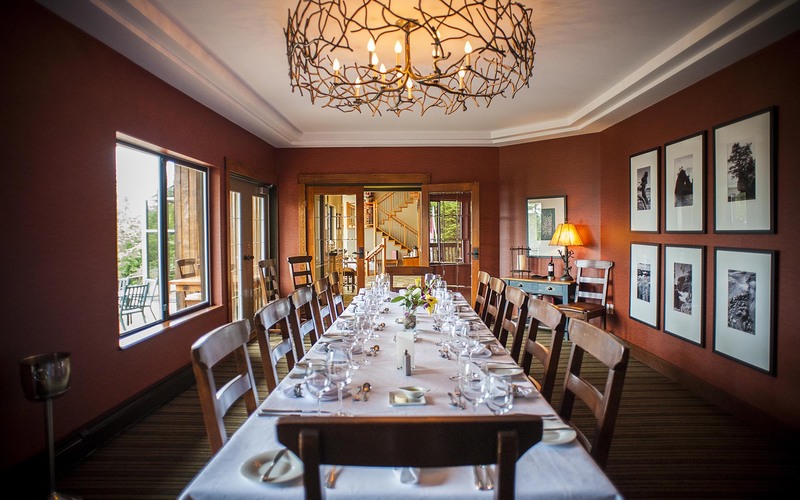 Please note, we offer an optional upgrade to an elegant private dining room for groups of up to 14 people. The call of the wild meets 400 thread count sheets. 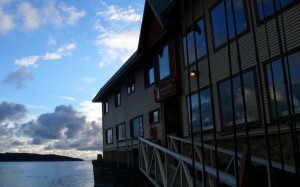 The Clubhouse tastefully blends 5-star luxury and service with a warm and welcoming fishing lodge design. Every well-appointed room features comfortable beds, plush down duvets and private en-suites – several with Jacuzzi tubs. 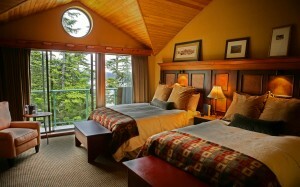 Choose from a standard room, deluxe forest view room, deluxe ocean view room or an owner’s ocean view suite. You’ll find our two spacious lounges ideal spots to share a drink. And share stories of your day’s Haida Gwaii adventure. Pool tables and a large screen satellite TV add fun and entertainment to the mix. Other must-have amenities include a spa with steam room and a massage therapist, a fitness room, two hot tubs, a library, and a business centre complete with Internet and a quiet place to conduct private calls. Suitable for single or double occupancy, every well-appointed room has an en-suite bathroom and is located within the main lodge building. In-room amenities include plush bath robes and towels, down duvets and pillows, shampoo, conditioner, moisturizer, soap, hairdryer and turndown service. is furnished with two twin beds or two double beds and en-suite. 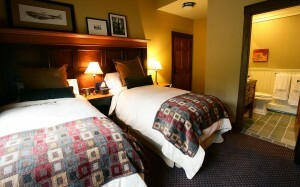 is furnished with two queen beds or one king bed and en-suite. 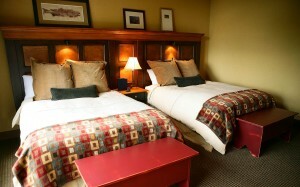 is furnished with two queen beds or king bed and en-suite. 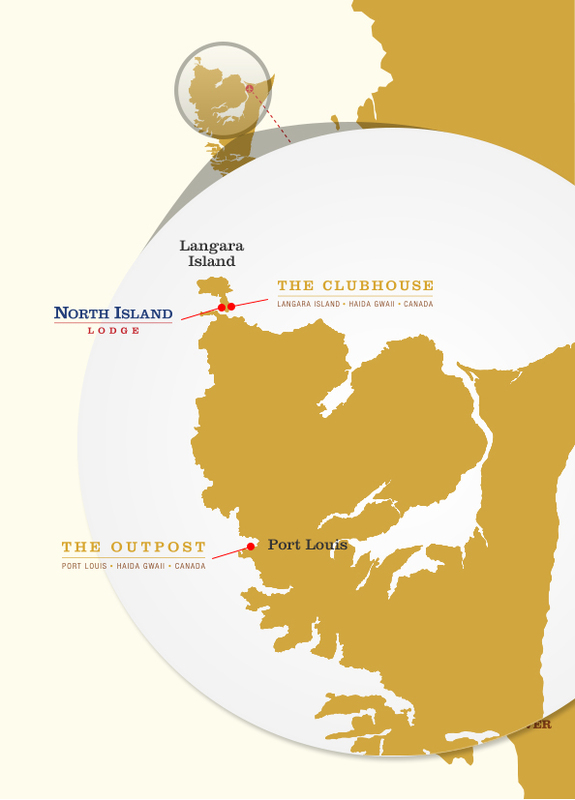 offers the ultimate luxury on Langara Island. 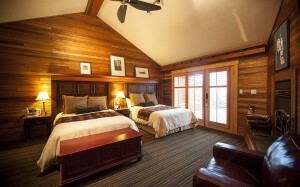 Each comes with a king and a queen Murphy bed or two queen beds. 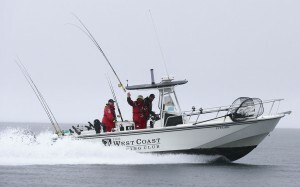 The Clubhouse is renowned for its fleet of 22-foot to 31-foot Boston Whalers – first-class fishing boats dedicated to functionality, versatility and luxury. We’ve equipped every one of them with powerful outboard motors so we’re able to bring you to wherever the fish are – fast and in complete comfort. 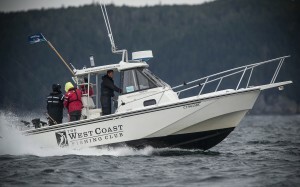 The 25 ft. Boston Whaler Guardian is a popular selection of our Guided Off-Shore Class as it allows for comfort while fishing the inner waters and the reliability to readily access the off-shore waters of the West Coast when the bite is on. 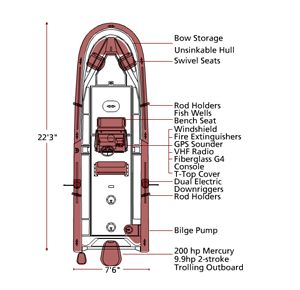 The 27 ft. Boston Whaler Guardian is available for those wanting a step up from the popular 25 ft. boats. The added beam makes a world of difference on the water creating a larger fishing platform. 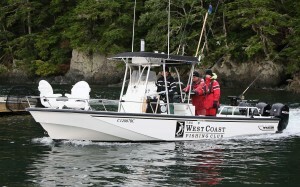 Whether you wish to fish the inner waters of Langara Island, fish offshore or venture out to distant surrounding areas, this boat will offer comfort and reliability. 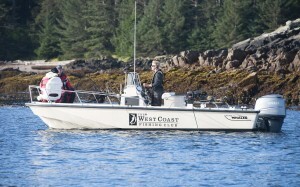 The 27 ft. Boston Whaler Offshore Predator is a popular boat in our Guided Off-Shore fleet. 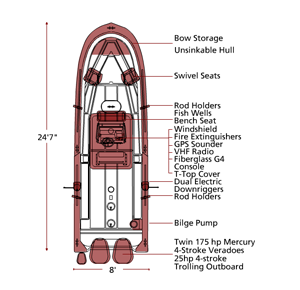 These are the only boats, along with the 29’ Offshore Outrage, to have a forward enclosed cabin. This boat is ideal for those wishing to fish in comfort. The cabin on this boat reduces the deck space slightly and makes it an ideal vessel for 2 to 3 guests. 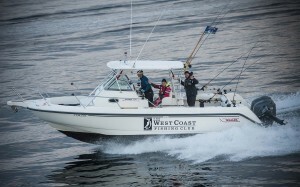 The 29 ft. Boston Whaler Offshore Outrage is the largest in our fleet and is big on space, comfort, and luxury. 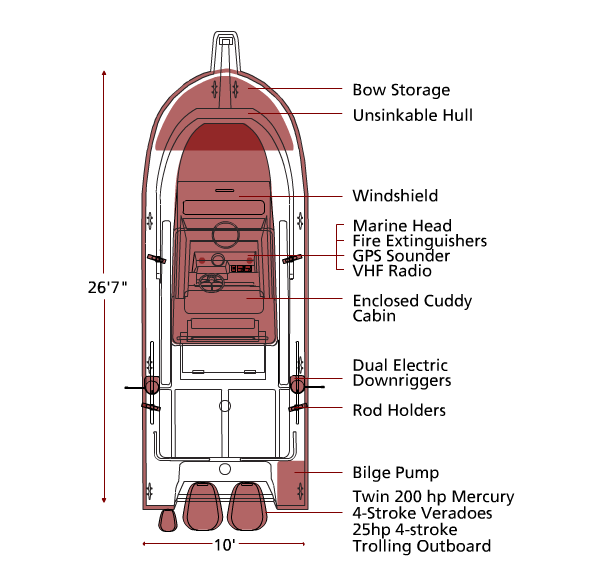 Along with the 27’ Offshore Predators, this is the only boat to have a forward enclosed cabin. 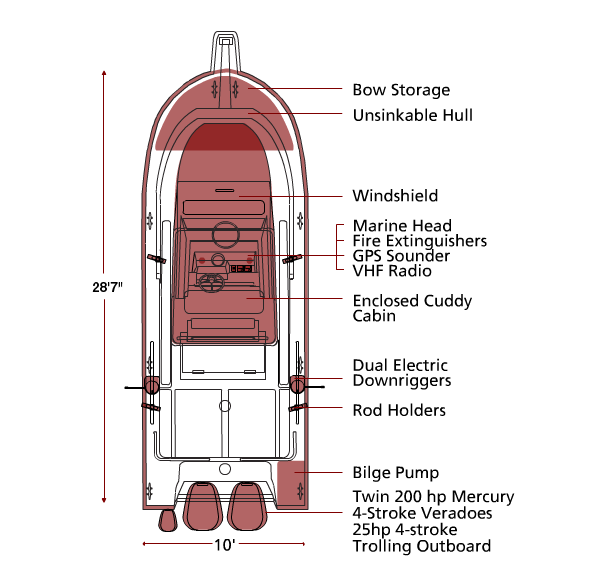 This boat is perfect for those wishing to fish in ultimate comfort. The cabin on this boat reduces deck space slightly and makes it an ideal vessel for 2 to 3 guests. This new addition to The Clubhouse fleet is perfect for couples and larger groups that want added comfort on the water and the ability to escape from the elements. With a similar layout to our 29’ Boston Whaler Conquest, the 31' comes with an even larger fishing platform and enclosed cabin.